A plaque was unveiled in Carlow town, Ireland in August 2005, on the wall outside the house where polymath Samuel Haughton was born. Sponsored by Bord Fáilte, the plaque was unveiled by Professor David Spearman of the Royal Irish Academy. It records that Haughton was a mathematician, geologist and physiologist. Samuel Haughton was born at Burrin Street, Carlow, Ireland on December 21st 1821. He was educated locally. The school master had a special interest in nature and brought Haughton and other students on trips exploring nature along the valley of the river Barrow. Samuel Haughton entered Trinity College Dublin at the age of seventeen. He obtained a Foundation Scholarship called the Lloyd Exhibition in mathematics at the end of second year in 1843. The Foundation Scholarships are described as ‘the most prestigious and valuable awards’ at Trinity College. He won first place in mathematics in the following year and was successful in the fellowship examination in 1884. During the following years Haughton worked in the mathematics department in Trinity College and was ordained a priest in 1847. In 1851 he was appointed Professor of Geology at the College. He held the post for a post 30 years and published up to fifty papers on geological subjects. He also carried out extensive studies on tides around the coast of Ireland. During his time as Professor of Geology, Haughton studied medicine. He was awarded the degree of MD in 1862 and was later appointed to the General Medical Council. He also served as President of the Royal Irish Academy and secretary and President of the Royal Zoological Society of Ireland. 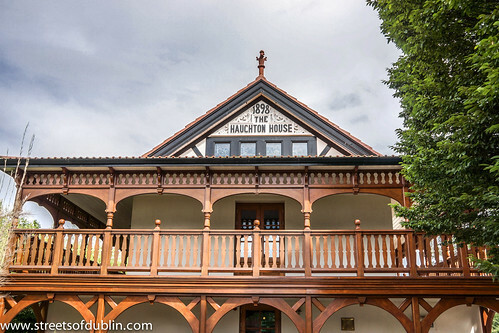 Haughton House at the zoo was built in 1898 in memory of Samuel Haughton. Haughton published a paper on hanging in 1866. At the time the person being hanged, died by slow strangulation which, we are told, could take several minutes. Haughton’s more humane method allowed the condemned person to drop far enough to snap the neck and cause instantaneous death. For example he determined that a person weighing 72.5kg needed a ‘drop’ of 4.5m. The method, which became known as ‘Haughton’s Drop’, has become the accepted procedure for hanging. Samuel Haughton, who is buried in Killeshin graveyard near Carlow town, died in the year 1897 On This Day. Monsignor Hugh O’Flaherty was a native of Co Cork, Ireland. He was responsible for saving over 6,500 Jews and Allied soldiers from the Nazi’s in Rome during World War II. As a result he became known as the ‘The Scarlet Pimpernel of the Vatican’. There is a monument to Monsignor O’Flaherty at the junction of Beech Road and Mission Road in the town of Killarney, Co Kerry. The 2 metre bronze statue was unveiled there in 2013, on the 50th anniversary of his death. Hugh O’Flaherty was born at Lisrobin, Kiskeam, Co Cork but grew up in Killarney Co Kerry. He was educated at Mungret College, Co Limerick and moved to Rome in 1922 to study for the priesthood. He was ordained on December 20th 1925. While studying for his doctorate he served as vice rector of the Urban College in Rome. In 1927 he was appointed Vatican diplomat to Egypt. During the following four years he served as diplomat in various countries and was appointed Monsignor in 1934. Monsignor O’Flaherty, whose father was the steward at Killarney golf course, was an excellent golfer and became amateur golf champion of Italy. Many of those with whom he played golf were at risk when the Nazi’s occupied Rome on September 10th 1943. The Vatican City, an independent state, was not occupied. With the co-operation of Pope Pius XII he began smuggling and hiding refugees. He also organised an escape operation for Jews and for Allied soldiers who had escaped following the surrender of the Italian government. He organised a network of houses and apartments in Rome where the Allied soldiers and Jews could hide. He was assisted by several people including the famous ballad singer, Delia Murphy, from Claremorris Co Mayo whose husband was the Irish Ambassador to Rome. O’Flaherty defied the best efforts of the Gestapo to capture him by using various disguises and fake documents when he travelled outside the Vatican. However he had several narrow escapes and came close to being captured on many occasions. The head of the Gestapo in Rome, Lieutenant Colonel Herbert Kappler had a white line painted on the road at the entrance to St. Peter’s Square. He ordered that O’Flaherty be killed if he crossed the line and offered a bounty for his capture. When World War II came to an end Kappler was captured and imprisoned. O’Flaherty visited him regularly in prison and eventually presided over his conversion to Catholicism. O’Flaherty was the recipient of numerous awards including, Commander of the British Empire (CBE) and the US Congressional Medal of Freedom. In 2003 a tree was planted in his honour at Yad Vashem in Jerusalem, Israel’s official memorial to the victims of the Holocaust. He was also named ‘Righteous Among Nations’. A film, starring Gregory Peck was made in 1983 which outlined the exploits of Monsignor O’Flaherty in Rome during World War II. Monsignor O’Flaherty retired to Cahirciveen, Co Kerry in 1960 where he died at the age of 65 in the year 1963 On This Day. 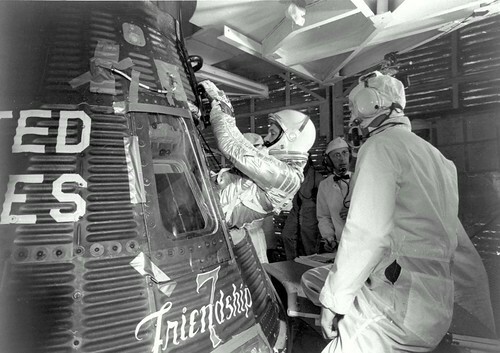 John Glenn is a former Astronaut who in 1962 became the first American to orbit the earth. On that occasion he made three orbits around Earth aboard Friendship 7. Glenn became the oldest astronaut in history when he made a return to space on the space shuttle Discovery in 1998. 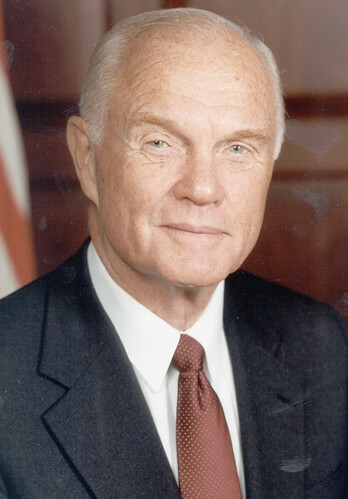 John Herschel Glenn was born in Cambridge, Ohio on July 18th 1921. Having served as a military pilot he was chosen to train as an astronaut in 1959. On February 20th 1962 he was the astronaut aboard Friendship 7 spacecraft when it was launched from Cape Canaveral in Florida. In 1974 Glenn was elected to the United States Senate. He served for four terms as Senator for Ohio. In 1998 while still serving as a senator, Glenn returned to space aboard the space shuttle Discovery. In 2012 he was awarded the Presidential Medal of Freedom by President Obama. John Glenn flew into space at the age of 77 in the year 1998 On This Day. William Hartnett was a 19th century still life artist who was a native of Co Cork, Ireland. He became known for his trompe-l’œil still life painting of ordinary objects. His painting of objects such as a dollar bill is so close to visual reality that people tried to pick it up. William Michael Hartnett was born in Clonakilty Co Cork in 1848. His family emigrated to the USA when he was young and settled in Philadelphia. As a young man he was apprenticed to an engraver and attended evening classes at the Pennsylvania Academy of Fine Arts. 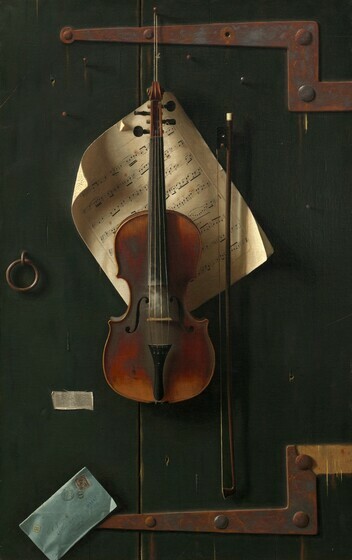 Hartnett became one of the best still life painters in the trompe l’oeil style. 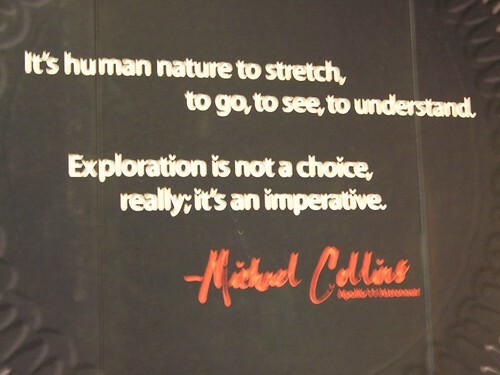 His work can be seen in galleries across North America and Europe. William Hartnett died at his home in New York City in the year 1892 On This Day.